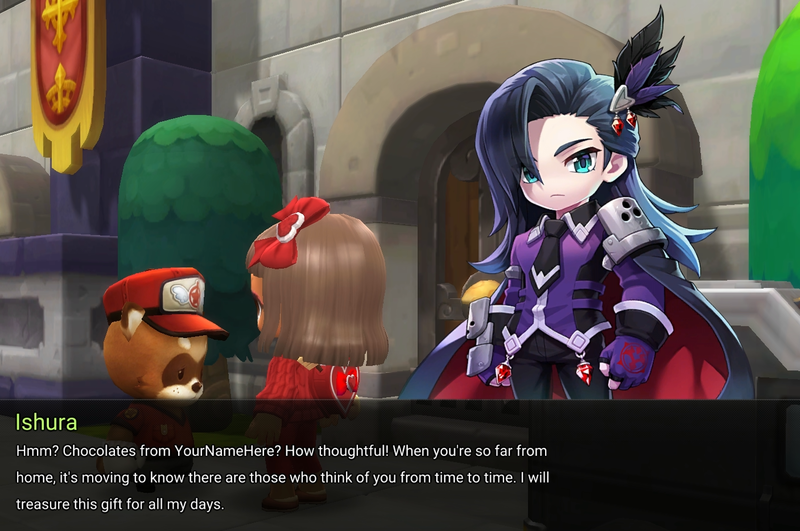 The many heroes, merchants and civilians of Maple World need their love, and you can show which Maple World denizen is your favorite! Gather ingredients and send chocolates to Blake, Goldus, Ishura, Mint, Peachy or Schatten, and get some special prizes in return! Find*Ruby*in*Queenstown*or via the Available Quests menu to receive the Decadent Delivery Daily Quest, challenging you to collect three sets of ingredients for Mendel to craft one of his world-class chocolates! Complete the Daily Quest multiple times for additional prizes! 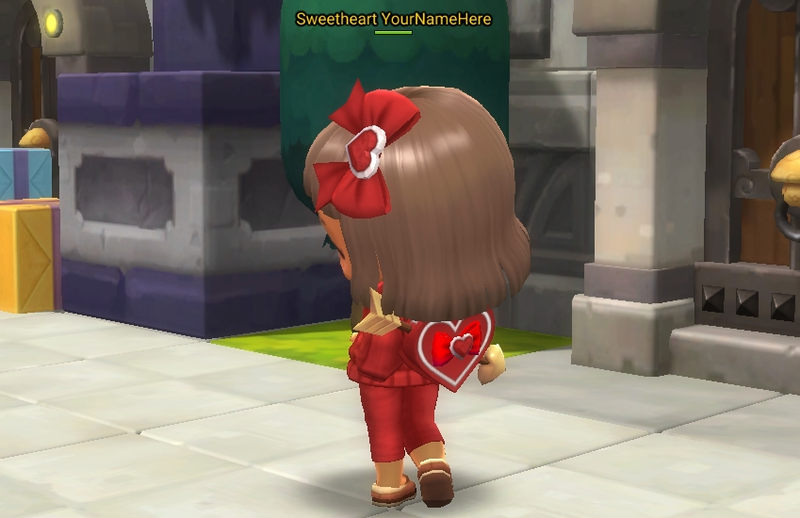 The NPC that's given the most chocolate will have a Love Tornado Ground Mount created with their likeness, given out to all participants of the event! February's Daily Wonders are all about the day of love and the coming of spring! 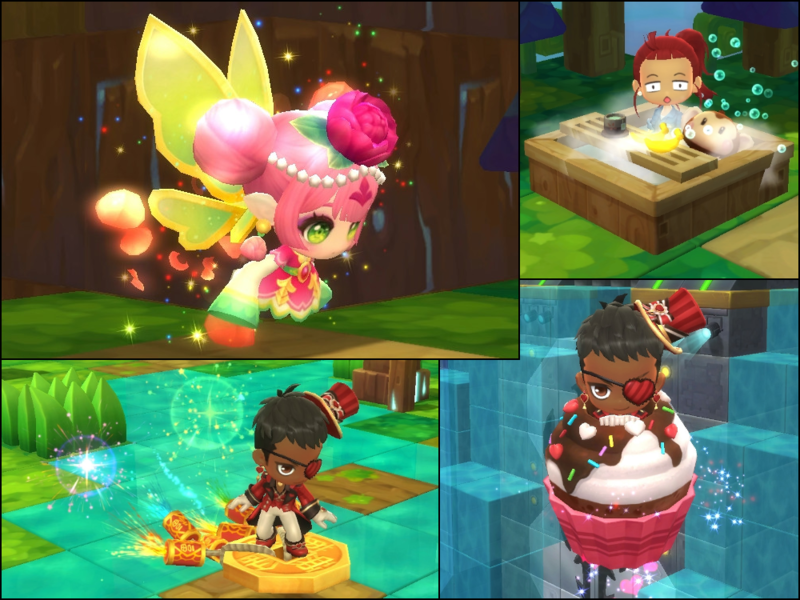 Get a new emote that takes you to a hot spring for relaxation, celebrate the Lunar New Year with a ground mount full of fireworks, take to the skies in a... uh, flying cupcake, and claim a graceful fairy buddy with the Lovey-Dovey Daily Wonders! 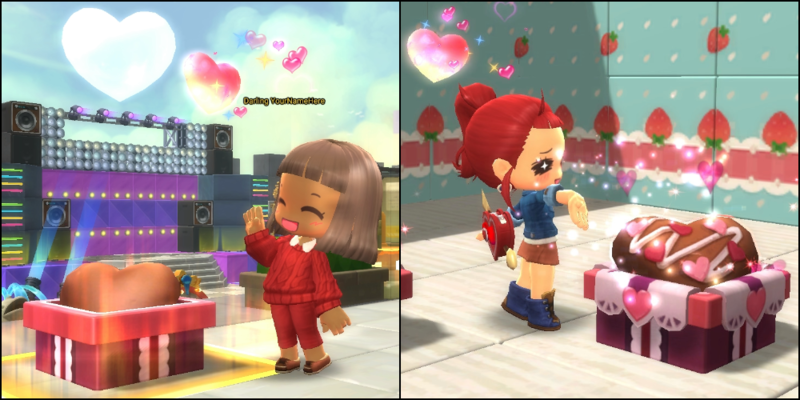 Love is in the air, and the Valentine's Romance Bundle contains what you need to get the love going! A pair of beautiful instruments, a pair of emotes that smooch your character on the cheek and a lovely, simple Rose emote to display at the target of your affections! 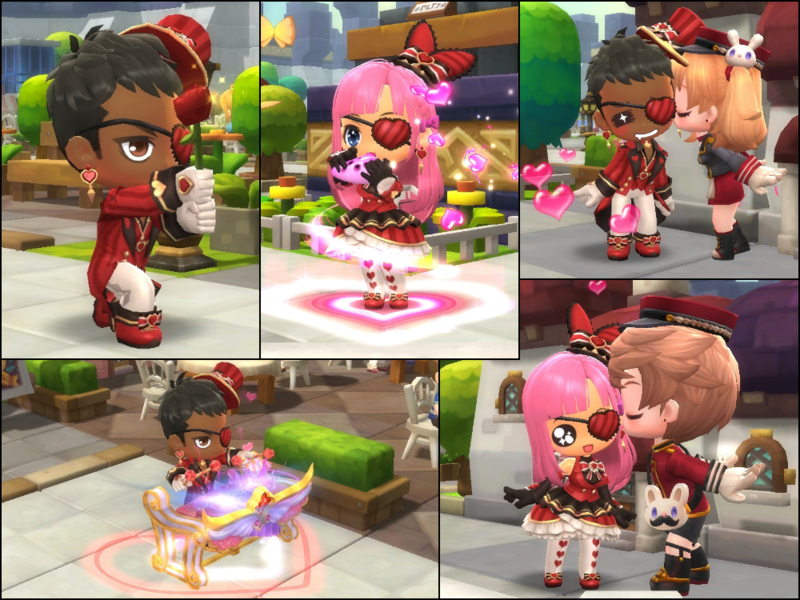 It's no fun celebrating Valentine's Day alone, so get together with your fellow Maplers in Queenstown to make and decorate some chocolate to keep you fed in battle!